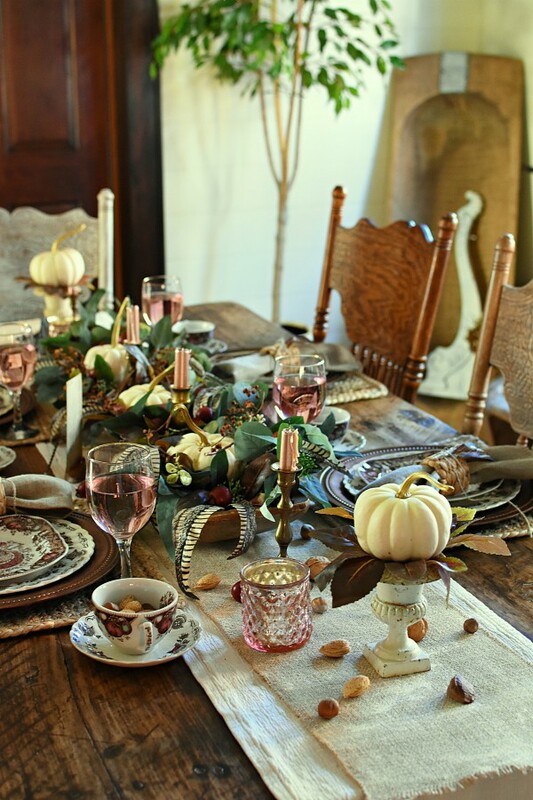 Amber from Follow the Yellow Brick Home shared a Pretty in Pink Thanksgiving Tablescape that is absolutely stunning! Can you believe those gorgeous blush mercury glass votives are from Dollar Tree? I haven't seen them at my local store, but I'll be looking next time I go! Pay Amber a visit to get a closer look at her beautiful dishes and table. I've struggled for years with what kind of furniture to decorate my foyer with--maybe, you have too. 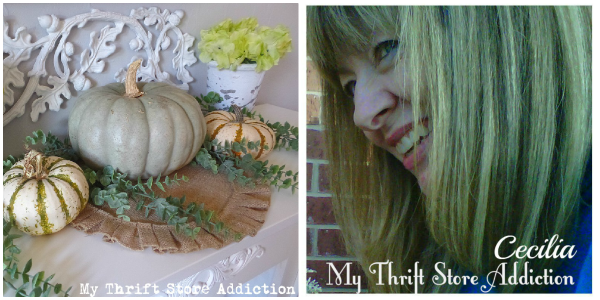 My favorite piece was an elegant shabby chic side table I picked up at a thrift store. So, it brought back memories for me when I read about Diana from Adirondack Girl @Heart's same predicament, and I love how she solved it. Using her many talents, she whipped up some DIY chalk paint, and transformed a table and mirror that now fit perfectly in her foyer. She even includes a helpful video on how to make your own chalk paint. 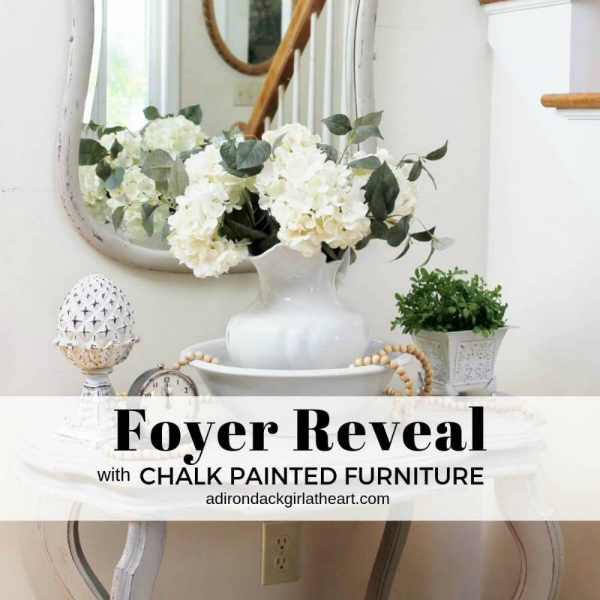 So be sure to drop by Foyer Reveal with Chalk Painted Furniture to get the details on the paint and see the final results. I'm in love. 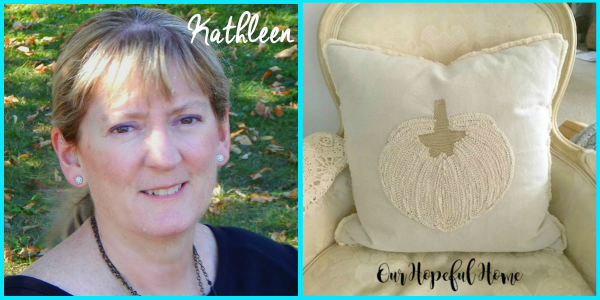 Thank you so much for the feature and for hosting. Have a great Thanksgiving! Thank you for hosting Cecilia! I hope you have a wonderful Thanksgiving! Amber's blush-inspired table is so lovely-great feature! Thanks for hosting, Cecilia! Thanks so much for hosting and thanks for visiting, Cecelia! !